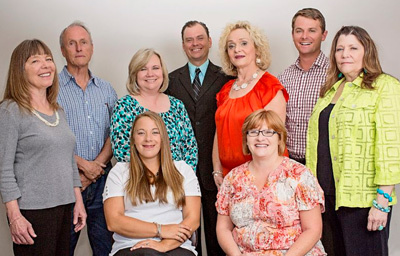 Diamond Payroll Services, LLC principals have more than 50 years of combined experience providing payroll services. Our specialty is relieving the burden of payroll processing by managers of small to medium size companies, so they can focus on more productive tasks. Diamond Payroll Services, LLC provides a high level of expertise and confidentiality at competitive rates. We assume all the liabilities of payroll services from preparing the payroll checks to ensuring that payroll tax payments and payroll forms are timely filed. With the help of modern technology, we are able to provide services both locally and nationwide while still providing the client with a hometown customer service experience. Over the years we have developed strong and meaningful relationships with each and every client and pride ourselves on partnering with them to provide a positive payroll experience for both the employee and employer. Don was born in Texas. He served in the military before attending and graduating from the University of Baltimore. Don worked for a national CPA firm before he became partner in serveral local CPA firms. Over the years, Don has gained first-hand business experience through ownership of many different enterprises. These include accounting, payroll, hospitality, manufacturing, construction, and real estate management and syndication. Michelle was born in Augsburg, Germany while her father served in the U.S. Air Force but at an early age moved to Norman, OK where her mother’s family had lived for several generations. As a child, Michelle was a competitive roller skater competing all over the south central United States. Later, as an adult she continued her roller skating career by turning professional and teaching for several years. Many of her students, including her young son qualified for national competition. Michelle is a 1974 graduate of Norman High School and after retiring from the skating world she pursued a degree in Accounting attending Rose State College and the University of Oklahoma. She has over 30 years experience in the accounting and payroll industry, and has owned or co-owned businesses that range from an antique store to a veterinary hospital. She has been active on several boards and committees including, Automobile Alley in OKC, The Heart of Norman, Norman Downtowner’s, Norman 89er Day Parade and The Performing Arts Center. Michelle is the mother of a grown son, Rhett, a teenage daughter, Mikayla and has a teenage grandson, Seth. She is a member of St. Michael’s Episcopal Church, Business Networking International, and other professional organizations. In her spare time, she enjoys studying history, genealogy, reading and antiquing. Sherry has lived all over the world, but her parents are from Oklahoma, so this has always been her "home." Sherry enlisted in the Air Force (ours!) in 1972 during the Vietnam War. She was stationed exotic places, such as North Dakota and Missouri. That was enough for her, but she really did enjoy her enlistment. Sherry went to college in South Dakota but moved to Oklahoma in 1992. She owned several businesses before settling down to work for Don Armstrong, CPA. She has worked here twenty years! Don Armstrong started Access Payroll in the late 90s, and it was absorbed by Diamond Payroll in 2008. She has been with the company since its inception. Sherry has two sons, but she's now happily single. She gardens and cooks for fun. In her spare time (ha ha), she is the treasurer for Boomer Nooner's Toastmaster Club, Secretary/Treasurer for the Business 2 Business chapter of Business Networking International, and Treasurer for Cleveland County Habitat for Humanity. Through Don Armstrong CPA, she is an affiliate of the Norman Board of Realtors. She helps raise money every year for college scholarships for local high school students. Through Diamond Payroll,she is an affiliate of the Builders Association of South Central Oklahoma. Leslie was born and raised in Wanette, OK, a very small town 30 miles Southeast of Norman. She attended Wanette High School and graduated Valedictorian of the Class of 2004. While attending school she was active in basketball, softball, and cheerleading. Leslie was a member of numerous groups including but not limited to Business Professionals of America, Future Business Leaders of America, National Honor Society, and Family Career and Community Leaders of America. She competed in all levels of FCCLA and won numerous District, Regional, and State Competitions as well as the National Competition. Upon graduation Leslie pursued an Accounting degree while working full time as a Payroll Clerk for C & D Dump Truck Services. 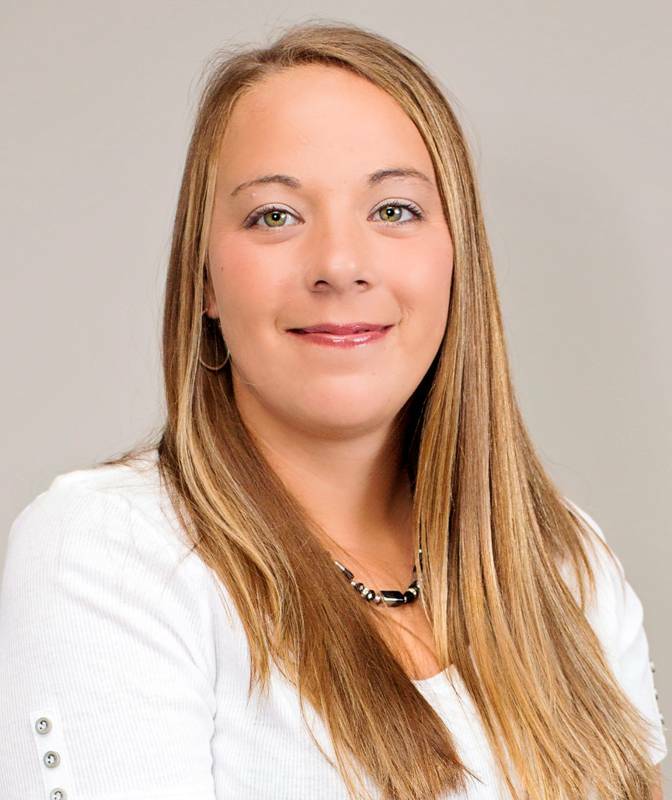 After Graduating with an Associate in Accounting from Oklahoma State University in 2008 she moved to Norman, OK and started her career at Diamond Payroll Services, LLC. She continued her education at the University of Oklahoma where she graduated with her Bachelors Degree in December 2013. She is going to further her education here at the University of Oklahoma to obtain her Masters of Accountancy. Through Diamond Payroll, Leslie is member of the following organizations:Business Networking International, Noble Chamber of Commerce, Norman Chamber of Commerce, Moore Chamber of Commerce, South Oklahoma City Chamber of Commerce, Sooner Human Resources Society, National Human Resources Society, National American Payroll Association, and the local American Payroll Association Chapter. She enjoys networking with others in the community and enjoys building lifelong relationships with each and every client. Leslie is the mother of her pride and joy - Makayla. Makayla is in competitieve dance so that is where Leslie spends most of her spare time. She enjoys volunteering within the community, being outdoors, and reading.